How shining Major League Baseball prospect Ronald Acuna gained the nickname, “The Answer to Everything”. One of the many “odd jobs” I’ve held down over the years is part-time stadium public address announcer for the Melbourne Aces, a professional franchise in the Australian Baseball League. With my lifelong love for baseball, working with a professional baseball franchise has been a dream come true. I’ve been a fan of Melbourne since their very first game. At the beginning of the 2016/17 ABL season, Ronald Acuna was one of the MLB prospects playing the offseason in Australia. He was a standout player for certain. While not many ABL stars play in the Majors, occasionally they break through, and Acuna looked like one of the better players in the league. As a stadium PA, you basically follow a strict script. There is not much opportunity or need for originality or personality, beyond how you deliver lines. There is also the pressure of clearly articulating messages in front of a thousand people, plus many thousands more on live television. Major League Baseball is listening. You don’t want to mess anything up. Many times, I’ve had burning instincts to say something funny or witty, but held myself back. Sometimes I would announce the number for a Hispanic player in Spanish. Once in particular I decided to stray from my script a little bit. The player was Ronald Acuna, wearing #42. For those of you familiar with Douglas Adams’ hit book (and later, film), The Hitchhiker’s Guide to the Galaxy, or number theory in general, “42” is cited as “the answer to everything”. With Acuna coming up for the Aces in a key situation, I took a deep breath, and made the announcement. Now batting for the Aces. 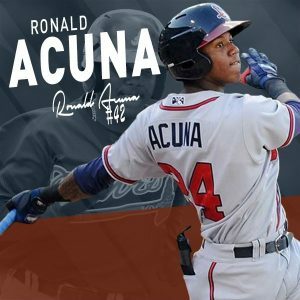 Center fielder, number 42 – The Answer to Everything: Ronald Acuna! The thousand or so crowd cheered as normal. Nobody seemed to notice. At the next game, my colleague running social media in the Aces press box walked over to me. He told me it was repeated on their Twitter. I was proud! Something offhand, that I thought was reasonably fun and intelligent, made it into the front office and massive fan base of a professional baseball franchise. Acuna has since been dominating the upper levels of the Minor Leagues, and is poised for his MLB debut with the Atlanta Braves in the 2018 baseball season. He looks like a star in the making, as one of baseball’s top prospects. As a vastly unimportant side note, I was able to pick him up for cheap in my annual money fantasy baseball league. Hence… Lots of .400 – 50 homer -50 steal seasons, please, Ronald! Here’s to a highly successful MLB career for Ronald Acuna – The Answer to Everything. And I hope we get to say hello again one day. 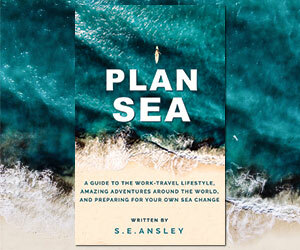 Sea is the founder and head writer at Digital Nomad. He's lived the freelance life for 18 years, and worked/lived on the road the past 4. Currently, he's on a trip with no end in sight, eventually heading towards life in New Zealand. 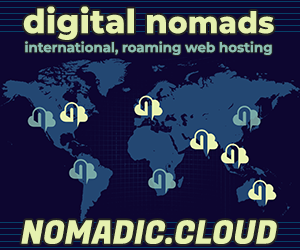 He is the founder and CEO of Mother.Domains, and a long time web developer and multifaceted artist. Conscious thinker to bring peace to our own lives and the wider world, and about to release his most disruptive work.